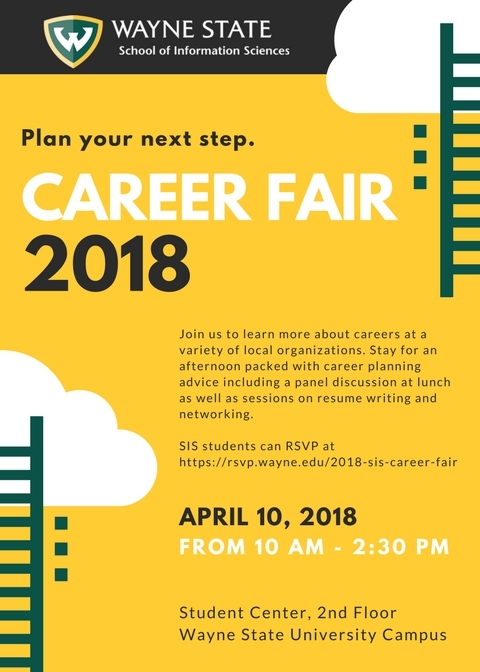 The School of Information Science Career Fair happens on April 10 from 9:15 AM to 2:30 PM at the Student Center. The event features informative panels, sessions on resume writing and networking, plus an opportunity to meet with potential employers. 1:05 – 1:30 p.m. Resume Tips Workshop -- "How To Sell Yourself"